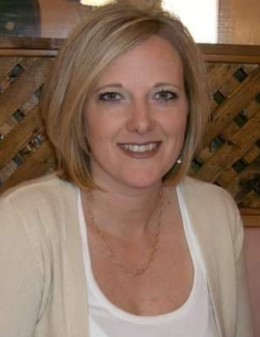 Jolene Carmel Fox, 46 of Leicester, NC, passed away peacefully on February 2, 2019 at home. She was born in Asheville, NC and graduated from North Buncombe High School. She was employed by Carver Reality of Asheville, NC. She is survived by her daughters, Jocelyn Hope Splawn of Asheville, NC and Savannah Stamey of Leicester, NC; mother, Mary Lackey Fox, of Rock Hill, SC; sisters, Robin Fox Connelly of Rock Hill, SC and Teresa Fox of Hendersonville, NC; nephew, Hayden Page Connelly;and niece, Mabry Rose Connelly, both of Rock Hill, SC; and niece, Allison Harrin of Asheville, NC. She was a loving mother, daughter, sister, aunt, and friend who never let us down. You were loved by all who knew you and those lucky enough to have met you. You will be missed by all, yet live in our hearts for eternity. And your troubles be gone. How your spirit touched our lives. And your love hold us tight. May you always shine bright. May your smile shine in our minds. May God keep you forever in our hearts and in our lives. With loving memory, your family and friends.